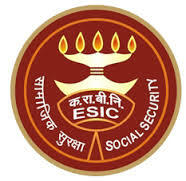 ESIC Hyderabad Jobs Recruitment Notification 2019.ESIC Hyderabad inviting applications for the positions of Faculty, Sr Resident.Interested and Eligible candidates can apply for the positions. Last Date for Submission of Application is on January 18th, 2019. Senior Residents (Broad Speciality) – As per Teachers Eligibility Criteria (MEDICAL COUNCIL OF INDIA AMENDMENT NOTIFICATION New Delhi, MCI-12 (2)/2018-Med.Misc./142810 dated 31st Oct 2018 available in MCI website and Recruitment and Regulations of ESIC Headquarters, New Delhi. Should have registration with MCI and State Medical Council. Junior Residents – MBBS degree from MCI recognized Medical College and Should have registration with State Medical Council. Look around for “ESIC Hyderabad Recruitment 2019 for Faculty, Sr Resident Posts“.